Published On Wednesday, April 27, 2011 By admin. Under: Featured, Rock & Chips. 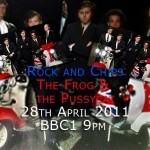 What did you think about Rock and Chips : The Frog and the Pussycat? It is shown on BBC One on Thursday 28th April 2011, 9.00-10.00pm. We want your review, your thoughts on what may be the final episode. 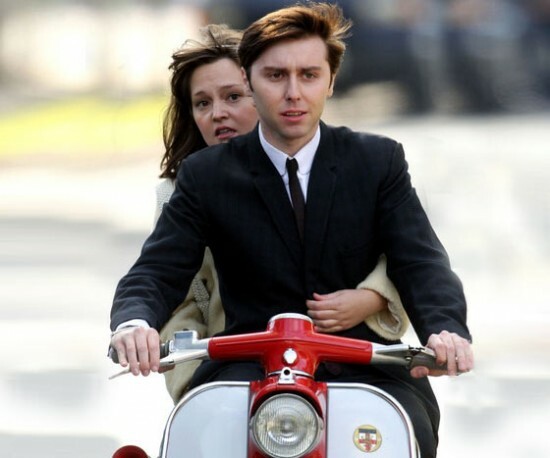 Absolutely Brilliant I hope that it wasnt really the last episode of rock & chips coz there are more story lines to tie up like introducing marlene, del’s dad leaving, allbie Littlewood getting killed by a train, roy slater being made to walk the plank etc… so please BBC commission more episodes you wont be let down!! 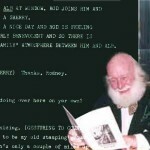 R.I.P J.Sullivan hope you write you’re own scritp in heaven with albert, mike and grandad. I just watched Rock & Chips for the first time having dismissed it since hearing about it, I thought it’d be a cheap carbon copy in all honesty, but I heard it was written by John Sullivan and gave it a chance. I was blown away by it! It was a fabulous prequal to an epic series, just gutted that there is only 3 episodes. Just 1 more could’ve been the icing on the cake, the final link to bring it all together, the deaths of Freddie and Joanie, and how Del took over bringing Rodney up after Reg walks out. Firstly R.I.P to John Sullivan, thank you for everything, greatest comedy writer of all time in this country to me. 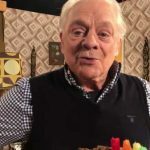 I hope he left the scripts so that there can be more Rock & Chips, don’t think anyone else could write anything else OFAH related but if the scripts are there for Rock & Chips more episodes could be made, John clearly would have wanted that, he wanted it to be a series and the future of the OFAH brand. 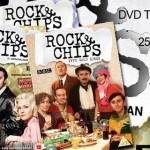 Looks as if its not coming back, in the tribute show last night it stated “Rock & Chips 2010-2011”? All the rock and chips have been pretty good. I can see why people might not like the fact that its more of a drama than sitcom, but tbh its probably the best way you could fit in all the references in the three epsiodes. Over time the characters would fit better into their roles, and it would move away from drama and more comedy biased. I would love to see someone take the reigns of rock and chips and perhaps even a new OFAH set in the modern day. I reckon Graham Linehan could do a good job. 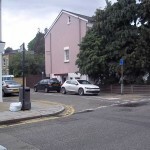 I think living in Peckham 2012 and Damien getting into trouble and perhaps visiting the Boycies in the country could work well. although the Three episodes of Rock and chips were very watchable and entertaining, it is probably because this is a fan site that the opinions are so good. the danger with this show, is that it might alienate new viewers with too many ofah connections. i would love to see Freddy the Frog sit on the Detonator though. I thought it was fantastic. The three episodes have really left feeling wanting more and more! I loved the references to OFAH. I pray and hope that John Sullivan, left a script or anything referring to Rock and Chips to be made into a Series. Because I just don’t want this to end yet!! And so, it ends. I have loved every second of Rock and Chips and its so clear from the ending that John was warming up for several more one offs, or even a series. It felt so bitter sweet at the end watching the boys sail off down the road on their Vespas. We can only wonder what adventures they might have got into next. And may I just say at this point how much respect and awe I have for the actors who in just 3 short episodes have found a place amongst my all time favourites in the series. Kellie(Joan) you were the cream of the crop, but every single character for me at least, was wonderful. 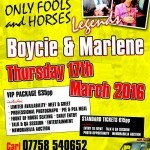 Whatever the future holds for us OFAH fans, my God we’ve been spoiled up to now. RIP Master Sullivan, a genius among men. Am I the only one left underwhelmed by this series? As good as John’s writting was, I just can’t get to grips with different, and frankly inferior, actors in roles that are too iconic to British audiences. Also, aside fron Joanie herself, all of the new characters are extremely weak, especially the terrible cinema owner. I also not a fan of the attempt to move the show away from sitcom and make it a psuedo drama. Of the three shows I think that the first episode remains the strongest. 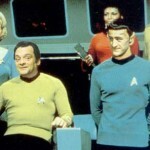 It’s also a shame that they didn’t manage to work in an appearance by David Jason. 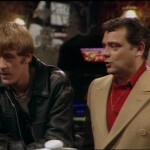 It was a fantastic last episode and noticed the same connections with Only Fools and Horses that’s already been mentioned on here. I think Rock and Chips has been a brilliant show and I hope it’s not the end, but I agree that it should only carry on if John had already written more. 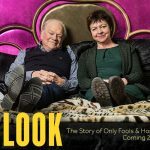 Another memorable episode and as always with rock & chips some beautiful only fools connections. Apologies if these have been mentioned. Dracula on the moon – del’s film idea, a prequel to ‘There is a rhino loose in the city’ ? Sure there was loads more that others spotted too. Oh yeah, and Barbara living on Kings Avenue ! Any one else spot any? The affair between Trigs Nan and Grandad was especially hilarious. I thought he had the best lines in this one too. In the cafe when Freddie & Jelly Kelly are joined by the police, over Martin’s shoulder you can see the Lovely Jubbly sticker (first seen in Five Gold rings) only this time it’s not as obvious as it’s stuck on the inside of the window looking out so the writting isn’t as obvious. And Del and Albie Littlewood both being interested in the same girl (Barbara on this occasion) crops up in ‘Happy Returns’ when Del meets up again with June and we find out that Albie and Del were seeing each others girlfriends behind the others back. I am so sad it’s over..as mentioned there were lots of “signs” to the “future” and yet at the same time a big story and lots more to discover…I hope JS has left some diaries or future scripts that someone can take up..it felt like he was opening the door to so much that we will never know…bonnet de douche! My Review of Rock & Chips – By Brandon. SPOILERS!!! It’s so saddening to see this prequel end. It is really enjoyable and it is a breath of fresh air while still having humor every now and then, It has a fantastic storyline. While watching ‘Rock & Chips – The Frog and the Pussycat’ I found myself getting a little upset this is the end of the OFAH universe, John Sullivan is in all our hearts and I’ve got to say I was impressed by the ending of Rock & Chips. It ended with Fredrick looking at a mobile thinking to call Joan and Joan singing and dancing along to ‘Will you still love me tomorrow’ Joan describes Del and also Fredrick but in a secretive way the same as other men make promises but never keep them. It then ends with Del and his friends going towards Brighton on their scooters. I thought this was a very Poignant ending in that It kinda leaves it up to us fans to say what what happen if there would have been another and how many more. BBC also left a nice tribute to John Sullivan after the end credits. 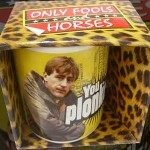 Only fools and Horses will forever be in our hearts and I’ll never get bored of it. It’s such an amazing sitcom with the best storylines ever, We all had Doubts about ‘Rock & Chips’ but to be perfectly honest I thought it was phenomenal. And I love how the ending leaves the door open for us fans to carry it on with our own scripts. They’re nice to read and It’s nice to see what could’ve been. R.I.P John Sullivan, The best sitcom writer ever to be born in Britain. Very good episode, it was left open for more, not sure really now what should happen. just watched rock and chips,no way was that planned as a finale,obvious there was supposed to be more on the way,i bet john sullivan had more written, if he has and with his familys permission the bbc should do the right thing and make as many episodes that are written.great to see there is a whole tribute show to john sullivan on may 13th.cant think of any writers that get that,speaks volumes of the mans talent and what he has done for bbc.noticed the frog and the pussycat used a lot of reference from only fools,especially loved grandad and triggers nan,had to chuckle. (pictured the ofah episode). I think they should end it somehow, Even if its just a xmas special, Did manage to record the hd broadcast the picture is very clear. I think the only way there should be more episodes of Rock N Chips, is if John had already written or plotted out future stories. Only he knew the characters history and lives inside out. I agree 100%. Lets hope he had. I know most will not agree with this but I hope this is the last episode. Do we really want somebody else writing them? Let it end here, the series will always be remembered.